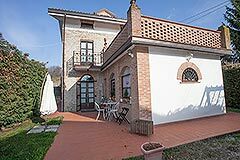 Country Property for sale in Piemonte Sinio Near Alba, Barolo and Monforte d'Alba (ref: 8092)- Restored Character Country home. Piedmont Properties in Piemonte. Property for sale Langhe and Piemonte.